Skulls lining the top of a family coffin. 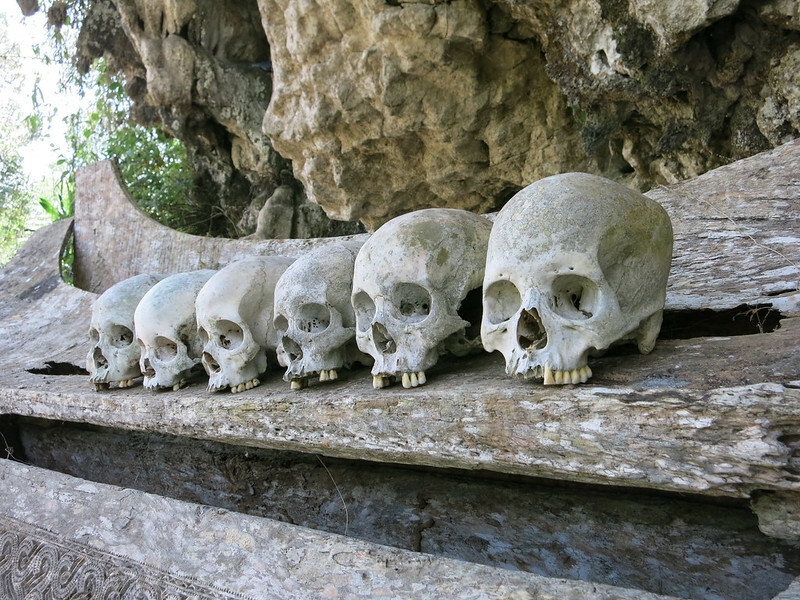 We flew to Makassar for the sole purpose of immersing ourselves in death in Torajaland, where the indigenous ethnic group in the mountains of Sulawesi have a fascinating culture of celebrating their deceased. It’s doable on your own, but we hired a local guide because it’s really hard to learn anything otherwise. And learn we did. I wish I remembered the name of the village our guide Arru hails from, but I have a crappy memory. 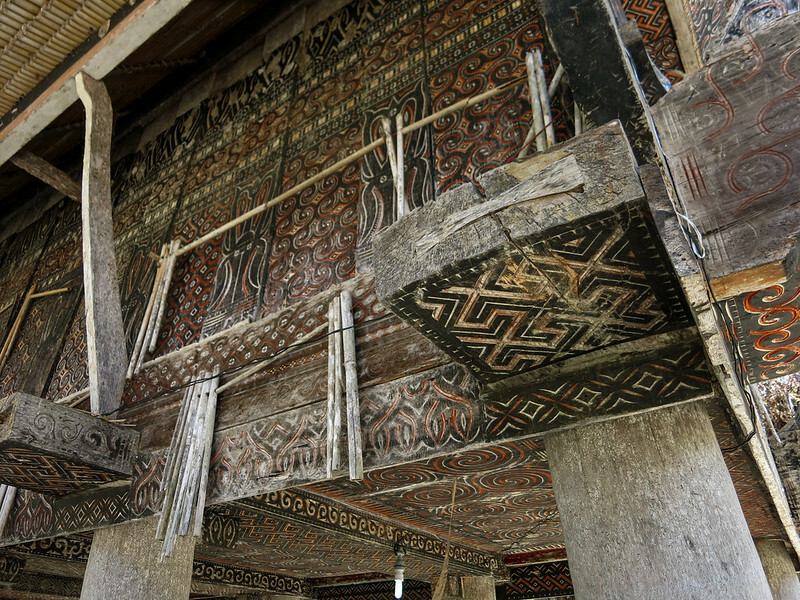 Anyway, it’s a good representation of traditional Torajan homes. 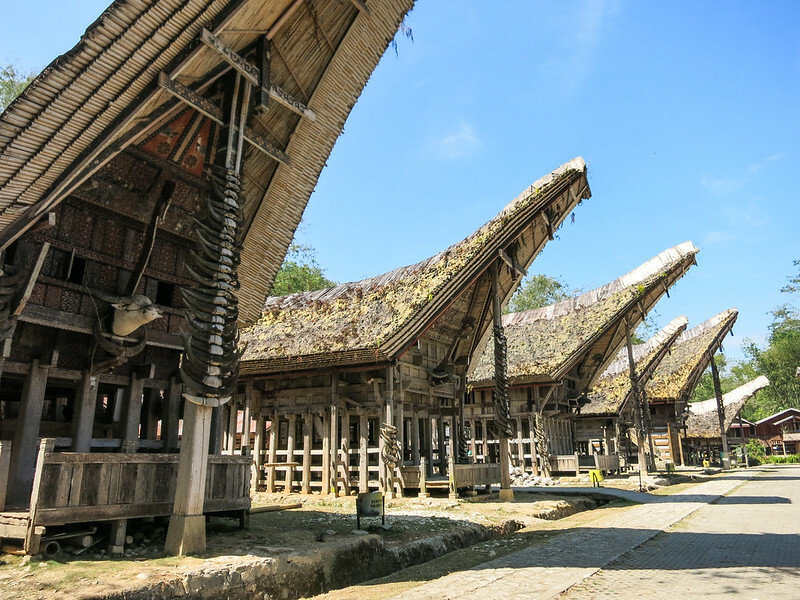 We walked through the short row of houses as Arru explained that homes always face north and rice barns face south. 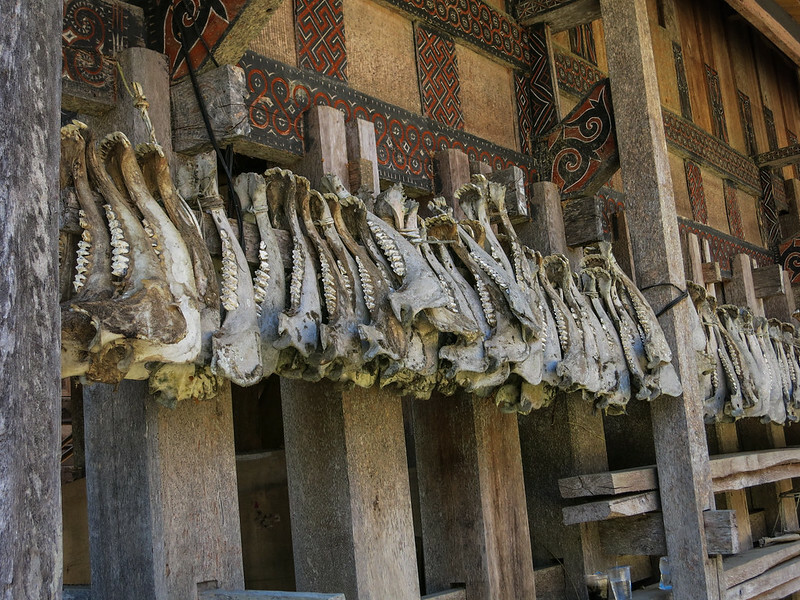 Buffalo horns are stacked high up the center of the front of these homes to signify how many buffalo were sacrificed during the funerals of their family members, which in turn shows off the wealth of these families. There are reasons for the placement of almost everything within these villages. 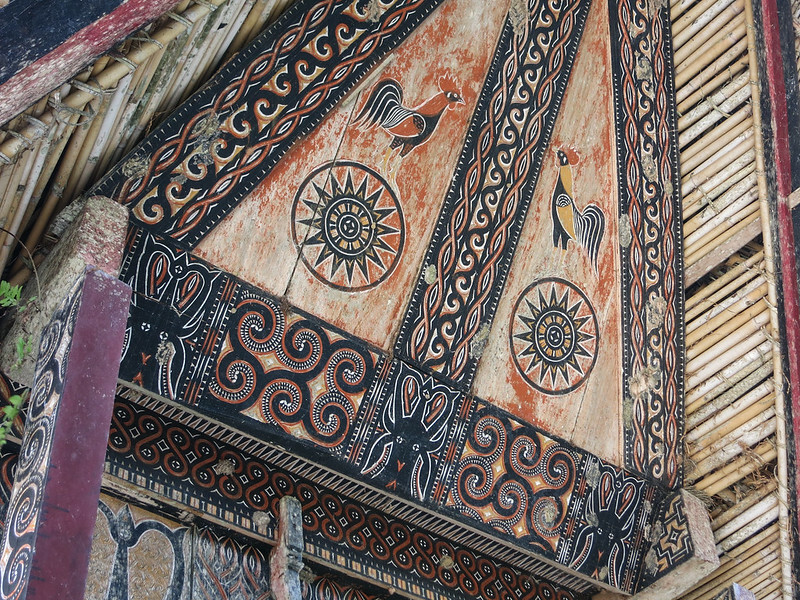 Detailed carvings and paintings on a rice barn. 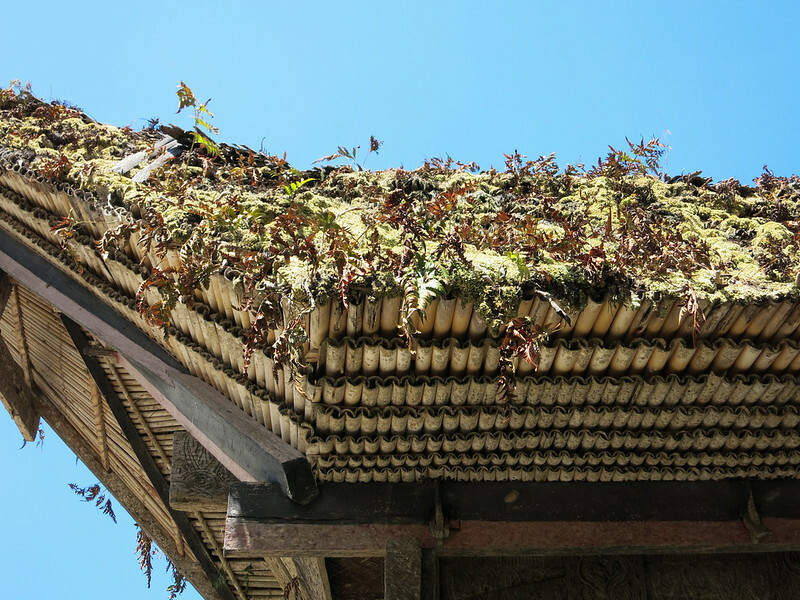 The rice barns are stilted to keep mice out. 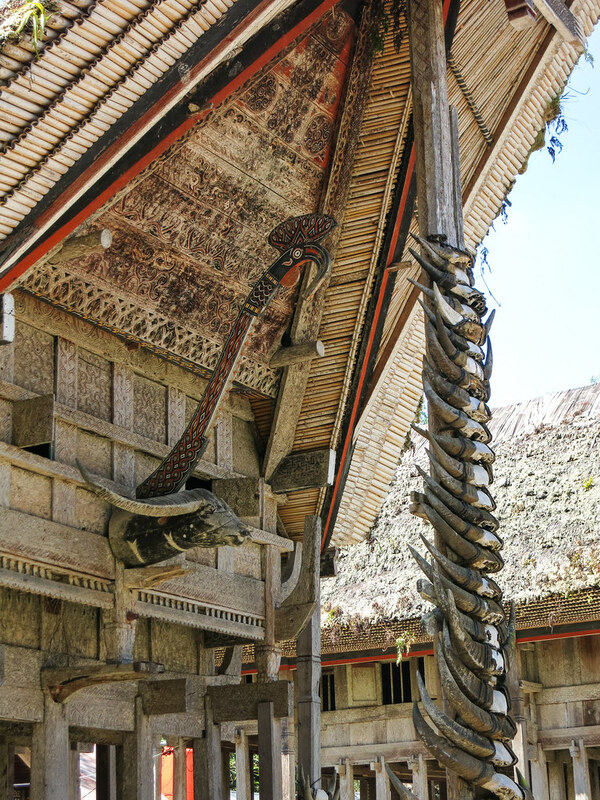 Jawbones adorning the side of a home. 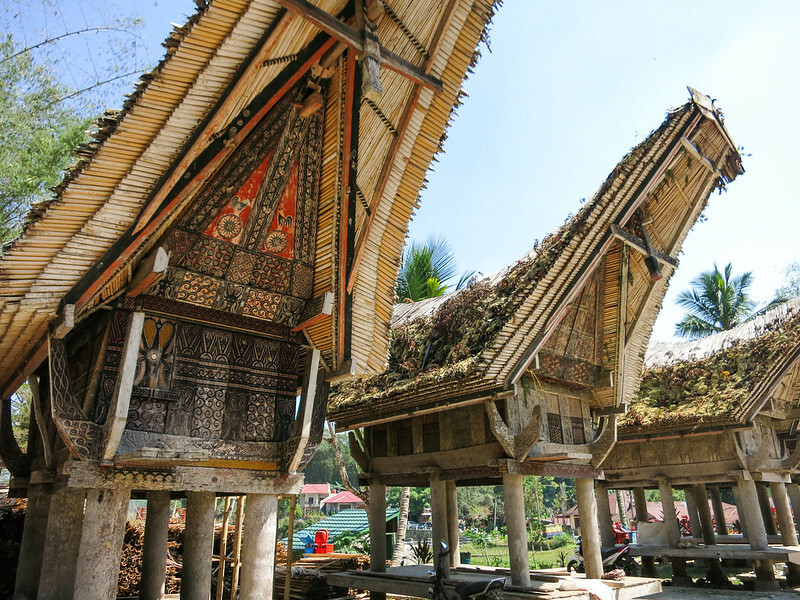 Buffalo, goats and roosters are common motifs for Torajan homes and rice barns. 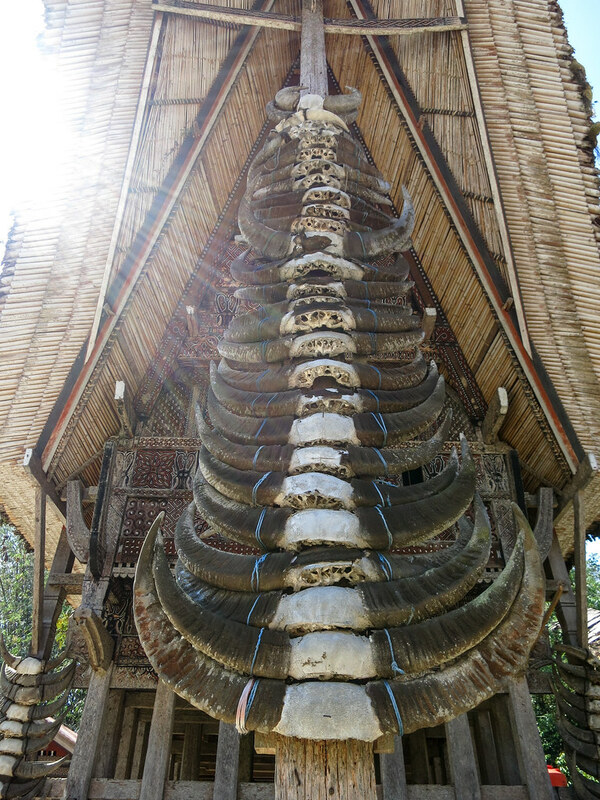 The front of a Torajan home.